Not much else aroud, just a few Dusky Thrush. Cherry Blossoms are beginning to bloom in Niigata but rain is forecasted for the weekend. I hope I have a chance to find nice birds here. I'd like to find a crossbill. "Not real magpies"!!! made me laugh. 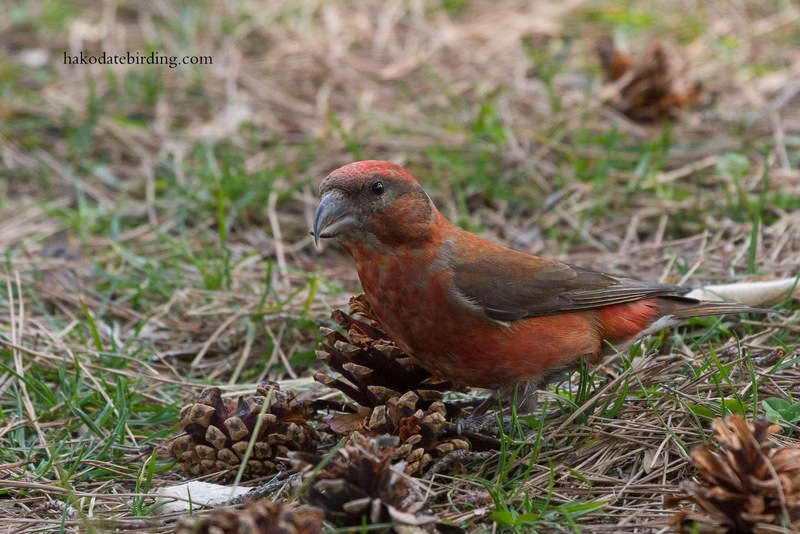 Nice crossbills. That bill is quite a weapon. I'm surprised there has never been a crossbill based martial art. They could call it 'the way of the crossed mandible'.. Your blog is fantastic, so many great shots. I was in Tomokomai and Sapporo area of Hokkaido but saw very little bird life but was not so interested in birding then and stuck mostly to developed areas I suppose. I saw many more sparrows than what we get in the UK nowadays though. Was nice to see so many of the little birds.